In 2017, the Twins were one of just four MLB teams that had a better record on the road than at home with a 41-40 record at Target Field. For all of their offseason additions aimed at improving on last year’s 85-win season and surprise AL Wild card playoff berth, the Twins could do one very simple thing this season to continue their upward trajectory: play better at Target Field. In 2017, the Twins were one of just four MLB teams that had a better record on the road than at home. Their 44-37 mark away from Target Field was tied for the sixth-best road mark in the majors, but their 41-40 home record was only tied for 22nd. On average, MLB teams won six more home games than road games last year. Had the Twins followed that trend while keeping their 44 road wins, they would have won 50 at home and 94 overall. 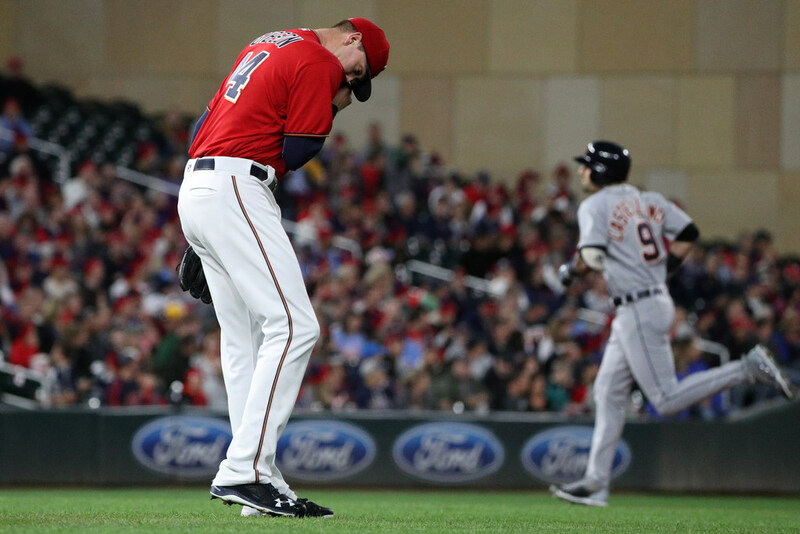 The home woes were even more pronounced early in the season; the Twins had to rally and win 14 of their final 19 games at Target Field just to finish above .500 at home. The split stood in stark contrast to previous successful Twins seasons. Many are well aware of the home field advantage the Twins used at the Metrodome, but even during their only two other winning seasons in the Target Field era they thrived at home — winning 12 more home games than road games in 2010 and nine more at home than on the road in 2015. So what was the culprit in 2017 and how can the Twins go about changing it when they (hopefully) make their chilly 2018 Target Field debut Thursday against Seattle? Well, don’t blame the hitters. The Twins’ offense actually thrived at Target Field, posting a .268 home batting average (compared to .252 on the road) and sizzling .803 OPS (compared to .733 on the road). The pitching, though, disintegrated at Target Field — a contrast to past seasons when the park tended to be more pitcher-friendly. Twins pitchers posted a 4.76 ERA at Target Field compared to 4.43 on the road — the difference between a bottom third of MLB ERA and a middle of the pack ERA. Ervin Santana, who started this season on the disabled list, had among the most pronounced splits — going 10-3 with a 2.71 ERA on the road while going 6-5 with a 3.90 ERA at Target Field. Kyle Gibson, who is slated to start Thursday’s home opener, had a 5.72 ERA at Target Field last season. On the road, that figure was lowered to 4.34. A silver lining: Jose Berrios, scheduled to start Saturday at Target Field, was the outlier in all this. He was 9-1 with a 2.41 ERA at Target Field — but just 5-7 with a 5.17 ERA on the road. With better pitching quality and depth on both the starting staff and in the bullpen in 2018, the Twins would seem to be in position to reverse their Target Field pitching trends from a year ago. If they do that, they might start winning at a pretty good clip at home. And if they start winning more often at home — while staying strong on the road — they just might find themselves in the AL Central race instead of just chasing another Wild Card spot this season.